How does sound bring about balance? Everything in the universe is energy and vibrates at different frequencies, creating a whole symphony of life. Our energy systems are made up of energy centers called "chakras". When they are in perfect balance, the energy flows, allowing a natural state of well being to exist. As we experience life, our chakras may resonate at lower frequencies, creating disharmony such as physical illness or emotional discomfort. Deep sense of peace and well-being. Reduction of stress and muscular tension. Increase in blood flow and circulation. Relief from discomfort and pain. I offer free 15 minute consultations for any service I offer. Call or e-mail to schedule. Total Body Tuning Fork Session-60 minutes-$65.00. 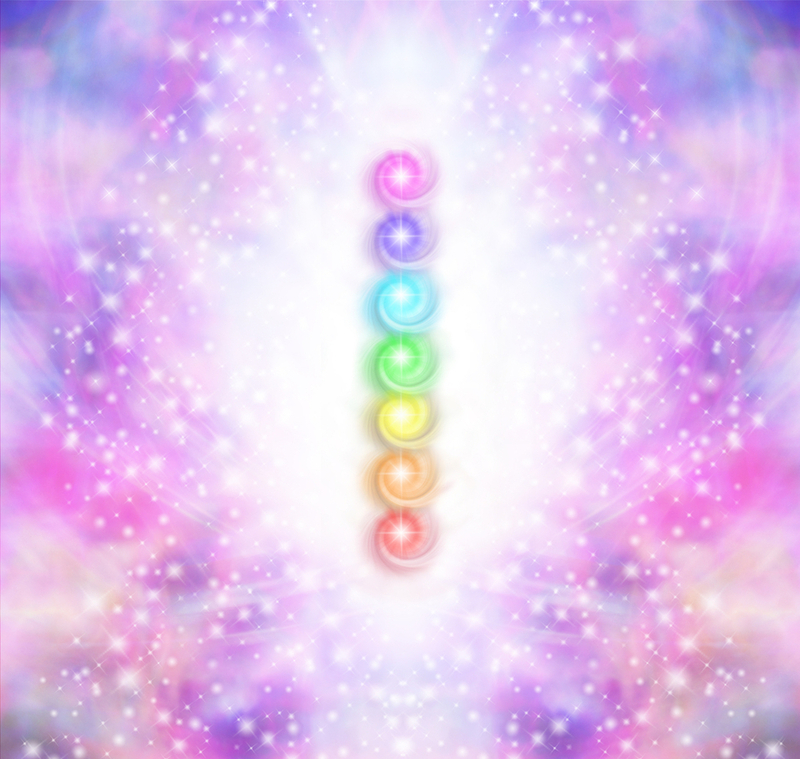 Chakra/Endocrine Tuning Fork Session-60 minutes-$65.00. A Total Body Tuning involves tuning the Chakras (physical energy centers of the body) and the Tree of Life forks. The Tree of Life forks are angelic frequencies based off a solfeggio scale and help tune the mental, emotional, and spiritual aspects of your energy field. Combined, this gives you a Total Body Tuning. I also offer Chakra/Endocrine Tuning Fork sessions. 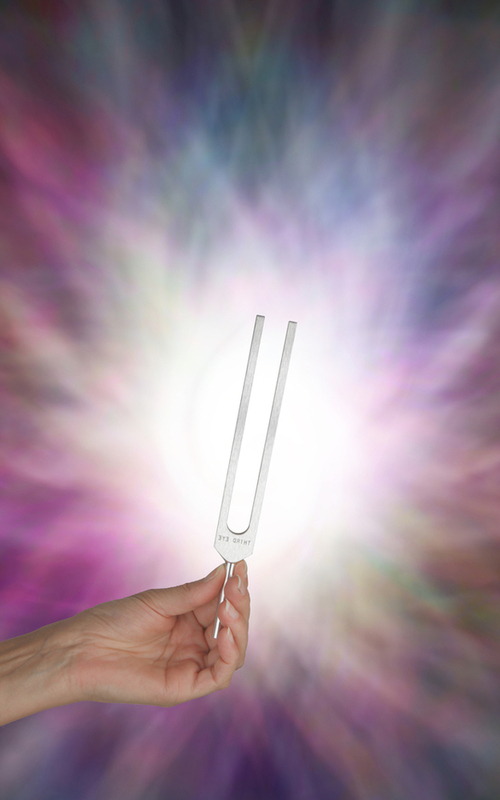 This tuning fork session tunes the Chakras and the entire Endocrine system. This includes the Pineal, Pituitary, Thymus, Thyroid, Parathyroid, Spleen, Adrenals, Pancreas, Appendix, Ovaries, and Testes. The chakras feed the endocrine system, so combined this is a powerful tuning session. Tuning fork sessions are held at The Wellness Wheel at 5742 N Broadway, Kansas City, MO 64118, in the Northwoods Office Park, back corner, with a fountain out front. By appointment only. Call Linda personally to schedule at 816-853-2702. Please specify at time appointment is scheduled which one you prefer. Money saving packages are available for 5 or 10 sessions. Call to find out how much money you can save! Cancellations and Rescheduling Policy:If you must cancel or reschedule an appointment, a 24 hour notice is required. I have used acupuncture, Reiki and massage to help with issues throughout the years. All have been beneficial but cannot compare to the Tuning Fork session I recently had with Linda Trent. My feet had hurt for a month: Two days after the session, almost all the pain was gone and has remained that way for a week. But, the most interesting benefit of the treatment was a "clearing" of my mind. That doesn't adequately describe the result, but I know I'll be going back for other treatments. It was a wonderful experience, not only because of the results, but because of Linda's quiet, calm, professional administration of the treatment. Elaine G., Kansas City, Mo.